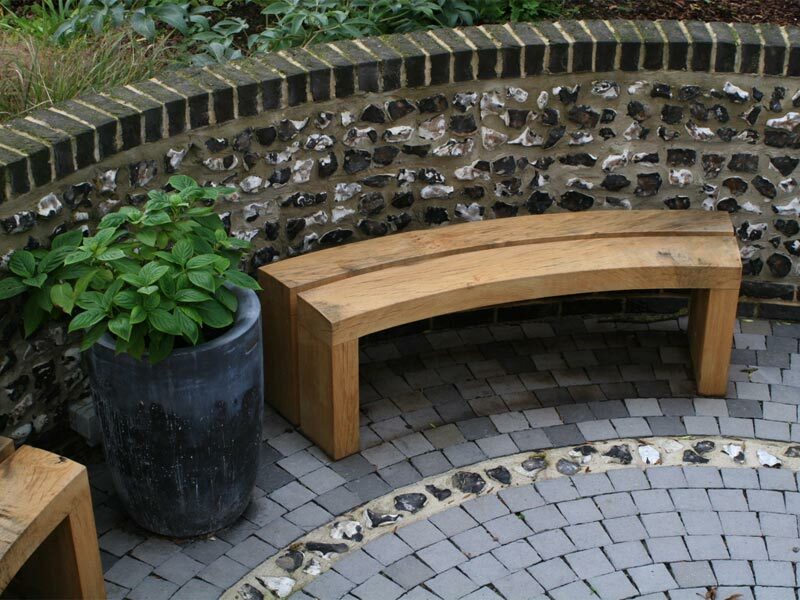 This was originally developed as a way of making a curved, heavy bench. It is made in two halves, each similar in construction, using pegged mortice and tenon joints. 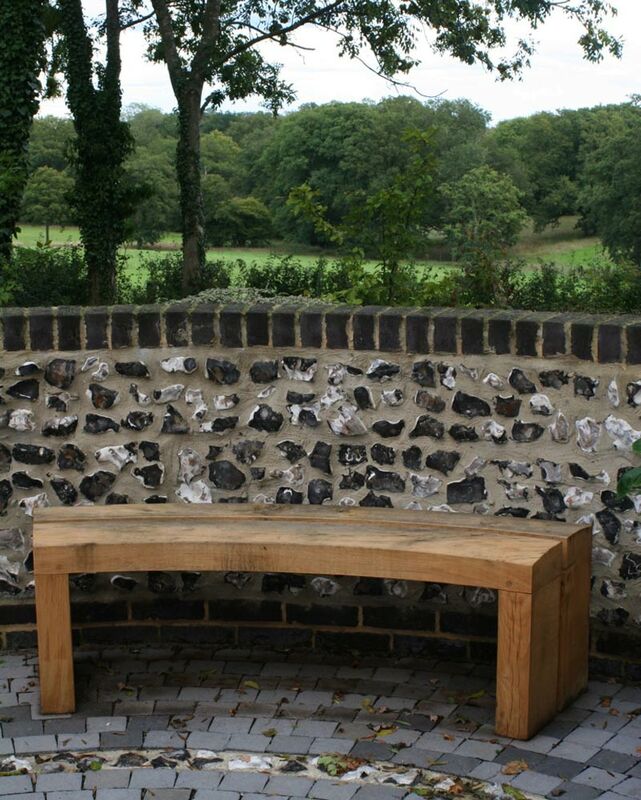 They are joined by oak fishplates secured with square oak pegs hammered into round holes. This design allows for a deeper bench of around 400mm or more, and can be supplied straight or in various radius curves.